Say good bye to unsightly pigmentation problems. Gain that confidence of pigmentation free skin. 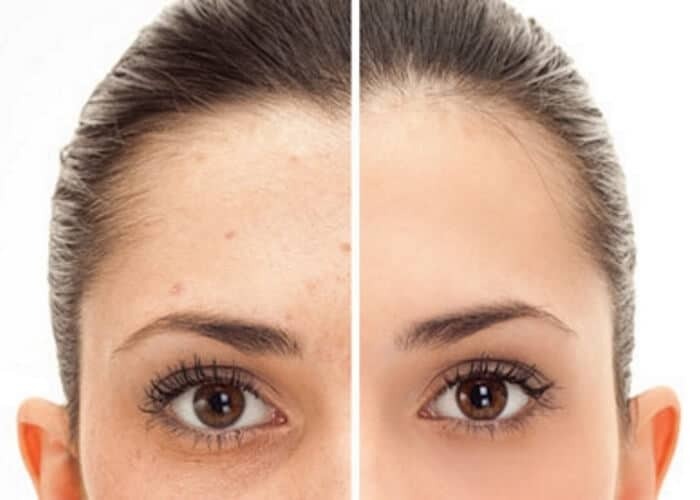 We have safe, effective, affordable treatments to get rid of pigmentation problems. Whether it's laser or IPL pigmentation we have it. We are the experts in pigmentation removal. The IPL or laser machine releases precisely controlled strong pulse of filtered light. Freckles, sun spots, birthmarks or liver spots contain melanin. The melanin will absorb the light. The light heats the melanin, and the melanin is breaks up into little pieces. The little pieces are removed by skins renewal process. Following treatment, the pigmentation area turns darker and may crust. Over a period of a few weeks the pigmentation area will gradually flake away. Leaving little trace of the original mark. Let us help you decide whether it is IPL or Laser pigmentation removal. We are the experts in pigmentation removal. 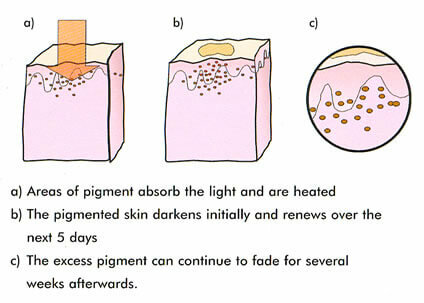 Each day we have customers that come to us for pigmentation removal. Rather than us try and help you decide on the best treatment for you over the internet come in a have a free consultation. We offer a free consultation. Where you make a booking, come in and we look at the problem area. We then discuss your treatment options. You ask us and question you may have. We Then give you a price for each treatment. If you accept the price we start the treatment. Simple. The length of the treatment depends on the area. Most treatments take 5 to 15 minutes. Talk to us today about starting your best affordable anti-aging facial salon treatment today. For an all over whole body experience come and see us in Lane Cove on the North Shore. Come and relax in our opulent ambiance, welcoming staff, the scent of essential oils, calming music, the soft cool breeze. For world class, exclusive treatments and products, we are the beauty and skin care experts in Lane Cove on the North Shore.